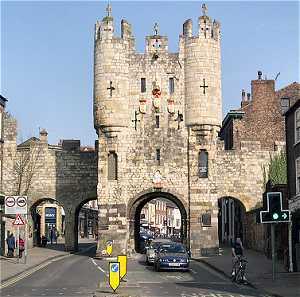 Helping you to book great hotels in York England is our business. Read from hundreds of helpful, authentic reviews of these, pubs, restaurants and popular tourist attractions. Reviews have also sent us what they thought of this site. One said, "I found this site so good for staying in York. It is a very nice city for holidays and I found many luxurious and cheap places to stay here.". First online in 2001, this site is produced by residents of the city. Articles for you here are about places to visit in York. Detail of what to see and do, while you are in our historic city. This is a travel guide built for you, to make your holiday in York easier to plan. Helping you make the most of your time. Our hotel reservations system is easy to use. Then an Email confirmation is sent to you directly, for your peace of mind. Choosing to book with Hotels in York Ltd helps us to help you enjoy our city. There is no hidden agenda here. We write and publish information about the city so you know what to expect. Just like having a friend in the city to ask about what to see, what to do, where to eat and where to stay. Tour York Minster. Get a feeling for the history. Have look at and read of our virtual tour around the greatest Gothic Cathedral in Europe, York Minster. Read and print out our guide to York Walls Walk. This is a must see attraction in York when you stay. Let the history come alive for you as you walk the city's medieval walls. This site allows you to plan out your holiday so you can enjoy making the most of your time here. This is our aim. Please feel free to contact us for any further information. If we can help you we will. While you visit why not indulge in a Relaxing Massage York. You will love it I promiss!